I am doing research with calcium carbonate structures. 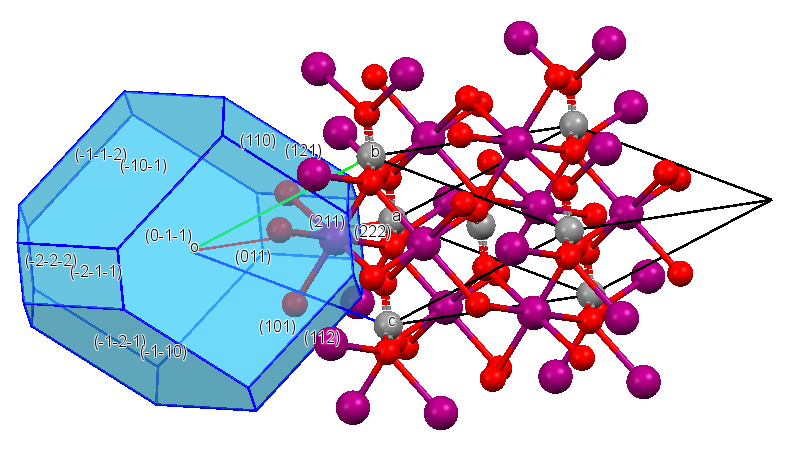 I need a way in which I can familiarize myself with the lattice structure of calcium carbonate polymorphs, especially calcite. I really struggle to see things in three dimensions. I borrowed an atomic model kit from my professor and that worked out OK, but I still wouldn't be able to tell which is the $(101)$ plane, for example. I tried downloading software such as BallVIEW, but I found it quite confusing. I need something in which, I can load the structure, and then it can tell me where each $(hkl)$ plane lies. I don't know how to program so I would really appreciate it if anyone can direct me to something user-friendly. 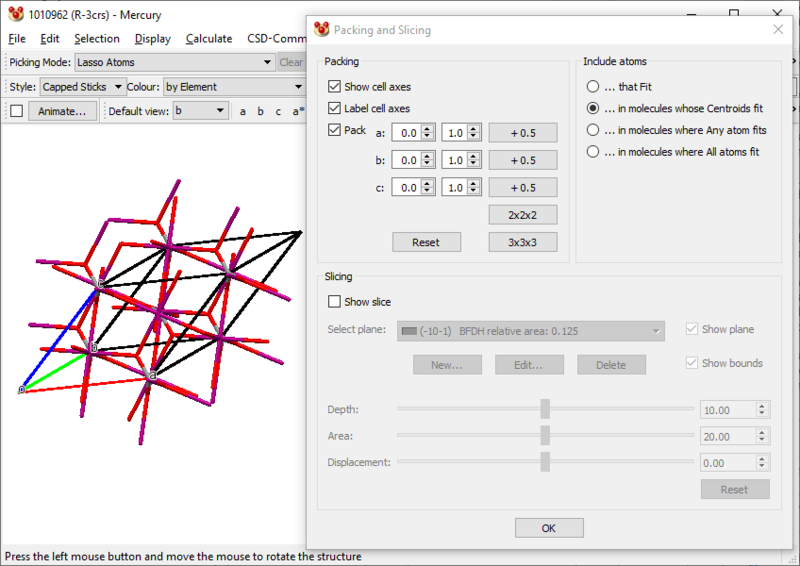 Mercury (available on Windows, Linux, MacOS) has a free version and is arguably the best crystallographic viewer for beginners. It also allows to add as many $(hkl)$ planes as you want. I used the structure of calcite from COD (1010962.cif). 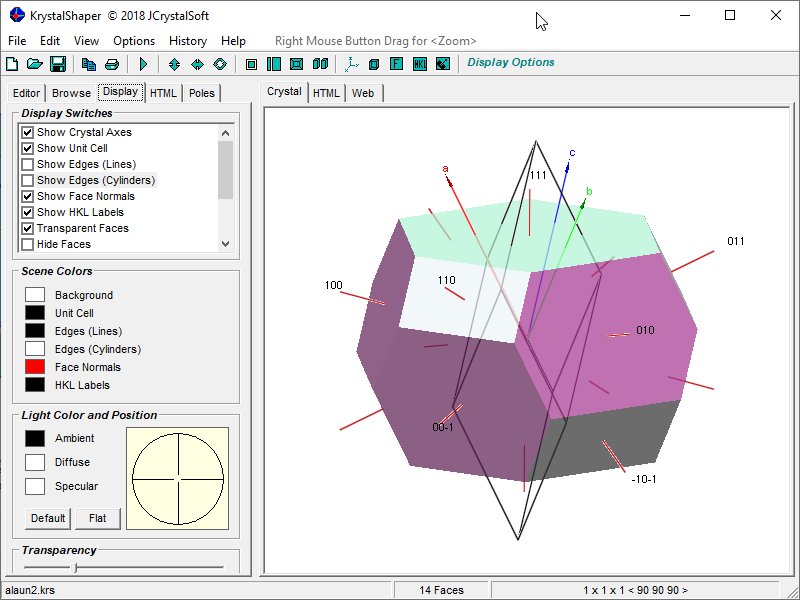 P. S. Thanks to Buttonwood for useful comments regarding graphical details and reminding about BFDH crystal morphology. There appear to be a variety of programs these days. Most I haven't tried, so take with a grain of salt (the last program I used was for DOS and I bought it in the early 1990s. I guess I'm old now. Sigh). 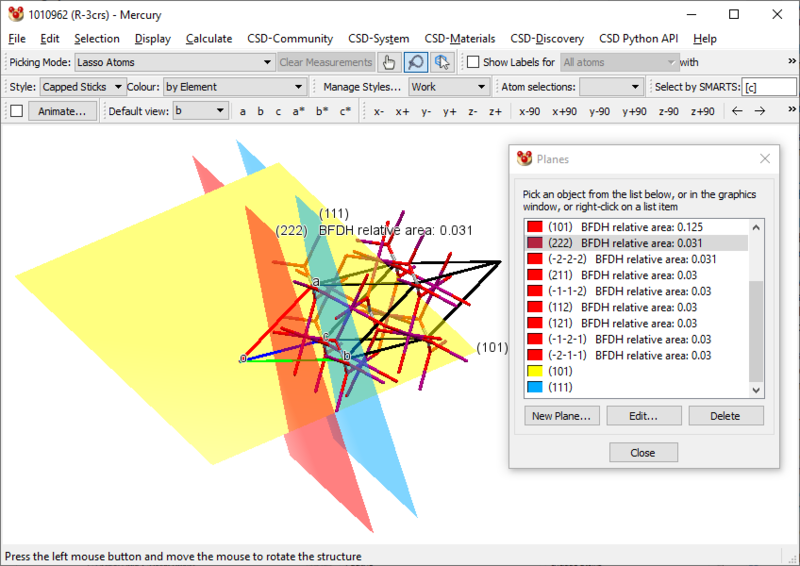 VESTA is free for academic use. CrystalMaker requires a paid license. List of other programs can be found here. Not the answer you're looking for? 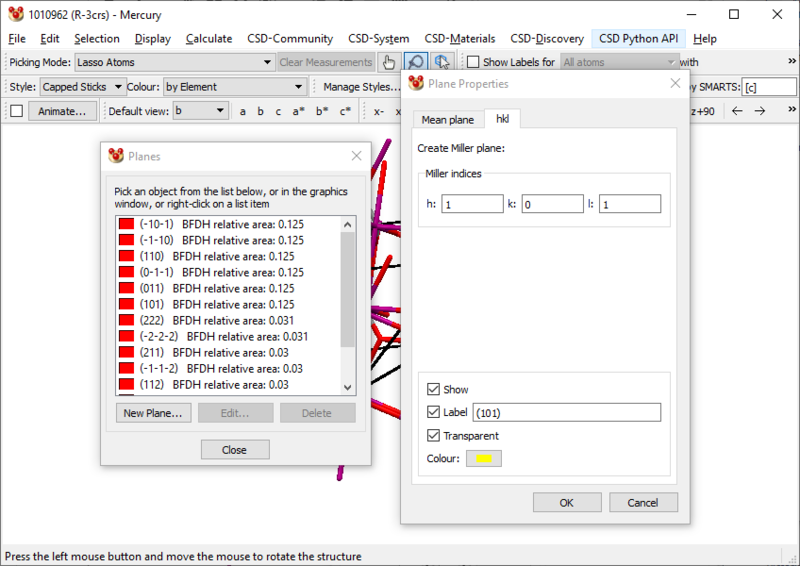 Browse other questions tagged inorganic-chemistry crystal-structure software crystallography or ask your own question. Is there an experiment that visibly shows the effects of metastability? Can negative (abnormally) lattice enthalpies during the formation of ionic compounds exist? How can the bulky octadecyltriethoxysilane molecule promote single-crystal growth? Why are there no hydrogen atoms in the crystal structure of a biomolecule? Are there processes to standardize the shape of a crystal during crystallization? Is there an equivalent unit cell that can describe a bcc unit cell where all points are the same element?